It would seem that Google may be in the process of shutting down their Feedburner service. 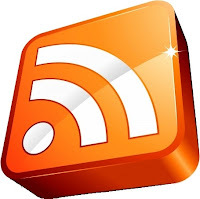 This is affecting TONS of bloggers out there who want a quality RSS statistic and feature adding tool. I say may, because, well... there hasn't been any information given by Google except that their Feedburner API will be shutting down Oct 20. Now, that doesn't specifically mean Feedburner is going away... BUT the stat gathering for ALL Feedburner accounts seems to have stopped working a few days ago and they closed their blog and twitter accounts, which is kinda an indication that it's going the way of the dodo. Think they "can't" just shut down a service? Well, for one, it's free - you're not paying for it, they owe you nothing. Also, there are plenty of horror stories out there of Google shutting down services people have paid for - I've lived through one that the company I worked for paid big money on... it gets messy. This is now listed as a known issue on the Feedburner Status Blog and that they're working on it. I'm playing it safe though... and you might want to too.. better than suddenly losing subscribers because the service goes dark.